The Society’s work plan for this summer is well underway. Please read the attached to see what we’re doing now and our plan to finish all of our capital restoration projects by summer 2019. 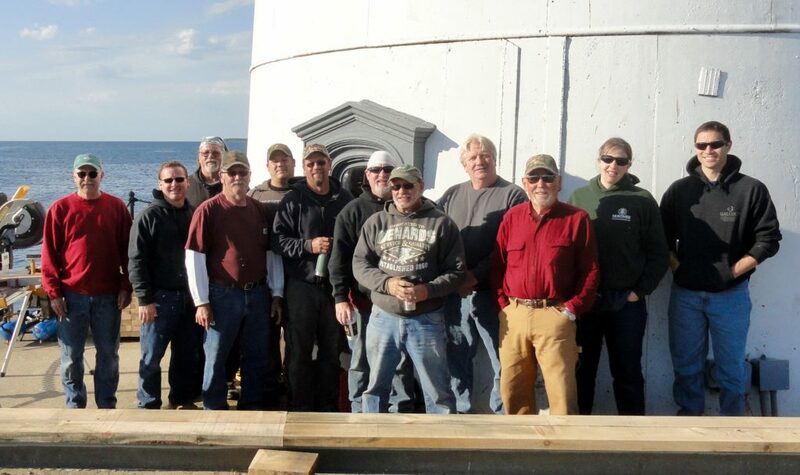 You’ll notice from shore that we are in the process of stripping and repainting the crib base and upper decks of the lighthouse building, with the tower the final capital project next summer. At the marina you’ll see our new gift shop trailer which is already way ahead of previous years sales thanks to a bright open space that is much larger than we had before. The Fog Signal building’s interior is being finished and exhibits are in the planning stages for a museum quality experience when we open next summer. For more info visit the Capital Plan page. Please read the Case Statement which includes a mail in donation form. If you have any questions feel free to use the contact form here. We appreciate your help in previous years and hope you will join us in funding these great projects!